For security purposes, never provide credit card or checking account information on this form. We offer several ways to open an account: NET 30 (days), credit cards, or the cash in advance method. Discounts are available for paying early: Net 10 – you’ll receive a 1% discount (this is from the date of the invoice, plus 10 days); Or Net 20 – you’ll receive a .005% discount (this is from the date of the invoice, plus 20 days). All invoice payments greater than $25,000.00 must be made via wire transfer, check or money order. 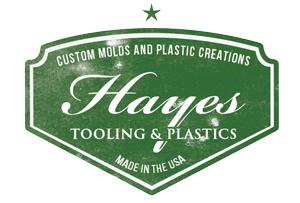 Hayes will not accept payment in the form of a credit card, debit card or other similar payment devices on amounts greater $25,000.00, unless preauthorized. Blind shipments are available, there is a $25.00 charge for each order. In addition, we also offer International blind shipping at $100.00 charge for each order. Please contact Carey Mullens with any questions.